What does dental health care mean to you? Those with routine dental checkups may view it as a way of maintaining good oral health, but there are others who only consider it in emergency situations. Then there are those who simply seek access to it for quick fixes or professional advice. It's viewed in different ways, depending on the situation, but its main purpose is to optimize oral care for a healthier family. According to the American Dental Association (ADA), approximately two-thirds of Americans seek routine dental care. During a routine dental visit, the dentist will perform various examinations to identify healthy and unhealthy areas in and around the mouth. He will use different equipment to detect and diagnose disease, such as tooth decay or gum disease. If untreated, these conditions can lead to pain, dysfunction, tooth loss, absence from school or work or simply poor appearance. Following your own examination, the doctor will report his or her findings and make recommendations for necessary treatment.Typically, the dentist develops a special plan to meet your needs at subsequent dental visits, while answering any questions or concerns you may have about you and your family's oral health. Some people don't feel that they have had dental care until they've had a dental cleaning, a service that a dental hygienist primarily performs to remove plaque and tartar from the teeth and gums to prevent common oral conditions such as gum disease or gingivitis and polish the teeth. A dental hygienist will also take x-rays, apply sealants and in-office fluorides, but what they really excel at is giving lessons on adopting personal oral hygiene habits, as well as nutrition counseling and recommended products. 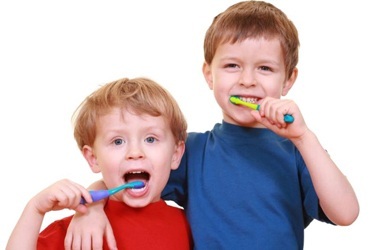 For example, a dental hygienist will suggest a child brushing a least twice a day with products such as Colgate® Kids Fruit Flavored Anti-Cavity Fluoride Toothpaste to help develop a daily oral care routine.Fixing Tooth ProblemsYou may also think of dental care as a means for helping with a single tooth problem, and many can crop up that only a dental professional can handle. The majority of dental problems a person complains about involve a tooth that's decaying, missing, loose or impacted (below the gumline), as well as chips or cracks, sensitivity or function of the teeth. Defected fillings are also a typical issue, and an easy fix.The dentist office is one of the first places a person goes for dental health care when they're in pain, especially when it's a pressing issue. Often these types of problems are a result of trauma, and may include cracked teeth, or those that need to be pulled. In a dental emergency and in less pressing situations, your dentist may fix the problems personally, but he may also refer you to a dental specialist. Specialists such as prosthodontists and oral maxillofacial surgeons will help with more complex conditions affecting the jaw and teeth. Of course, some people see dental health care as a way to improve their looks. People with crowded, crooked or missing teeth will seek out help to correct the appearance and function of their teeth. Orthodontists and prosthodontics can help improve the function of your teeth through numerous types of braces and restorative procedures. And for all of us who can't seem to get the perfect shine, dental health care is seen as a way to improve teeth's color through dental tooth "whitening." Dental treatment options for whitening are available for use at home or in the dental office.About the author: Yolanda Eddis, RDH, BASDH, is a clinical registered dental hygienist for the United States government. She is a member of the American Dental Education Association and Esther Wilkins Education Program, and is a Colgate Oral Health Advisor. Her research interests include community outreach projects. Eddis is currently pursuing her Masters of Health Science degree in a generalist concentration at Nova Southeastern University in Fort Lauderdale, Florida. Source: Dental Health Care: What Does it Mean to You?